If you are new to the world of couponing then you may already know just how confusing and overwhelming the process can be. Rest assured that it does get easier and easier but there are some basics that will be very beneficial to learn in the beginning. This way you will learn tips to make your experience much easier and you will learn pitfalls to avoid along the way. So, grab yourself and coffee and get ready to learn, coupon style. Before you print or redeem your first coupon it is best to know a little bit of coupon history. Coupons have been around for over 125 years. In fact, the first coupon was issued in 1887 by the Cocoa-Cola Company and was good for a free soda. Their use grew rather slowly until in late 90’s when the advent of the Internet made their production and proliferation much easier. 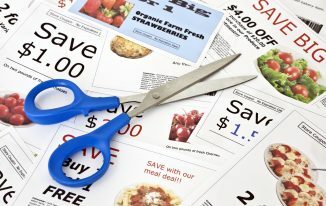 Currently coupons save consumers an estimated $4 billion annually. 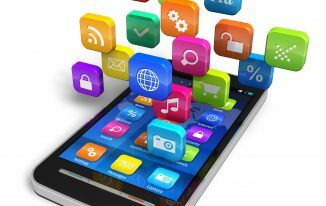 In recent years the increased technology of ‘smart’ phones has made the use of coupons extremely user friendly. Now consumers can search for coupons while in a retail store looking at a product. Many retailers/manufacturers have quickly learned that in many cases it is their coupons that separate them from competitors and gets them more sales. Now, before you start printing coupons we recommend that you take some time to do your homework first. We know no one likes homework but this is one of the best ways to make sure you get the most out of your coupon experience. First, take a look in your cabinets, fridge and bathroom now. Make a list of the items/products that you and your family use most. These are the products you want to begin looking for coupons for first as these will likely have the biggest impact on your monthly grocery budget. When starting out it is easy to get overwhelmed so focusing on your core basic needs is best. If you have young children then this should include items such as diapers, wipes, baby food, formula, toiletries and soaps. Now that you have a list let’s talk about where to look. In the past the Sunday Newspaper was the primary way families got their coupons but things have changed since then. Now, you can find 300+ printable coupons within the Coupon.com database alone. We recommend that you take your list from above and go to the manufacturer’s website to see if they have any coupons, promotions or rewards pages. You may be surprised what you will find for savings and how easy companies now make it to get into rewards programs. Also, many retailers are now offering savings programs through proprietary savings apps. These eliminate the need to print coupons and allows consumers the ability to ‘clip’ or load coupons right onto their smartphone. Two programs that we use are Target’s Cartwheel and Shaw’s MyMixx Programs. These make it super easy to save and allow you the flexibility to add coupons while shopping in the store. Click HERE to see a complete list of our online coupon resources. Click HERE to see a list of common coupon terms you may need to learn. Buying Products You Don’t Need – Especially when you first start out it may be tempting to buy some products just because you found a good coupon. While this may make your coupons ‘savings’ each week look nice it can also quickly lead to overspending and should be avoided. Not Building a Stockpile – One of the best ways to maximize coupon savings is to buy more than you need when you find a good coupon/sale combo. This should only be used for items you KNOW you will need in the future and that are NOT perishable. Baby diapers is a great example of an item you should absolutely stock up on when you have a chance. This way you avoid needing to buy them when you cannot find a coupon and you end up paying full price. Not Printing / Expired Coupons – Most of the available printable online coupons are subject to print limits and can disappear at any time. If you find a coupon that you really need don’t wait to print it. In the past we have seen some of the more popular coupons reach their print limit hours after release. Also, printed coupons have expiration dates which are generally 30 days from the date they are printed. 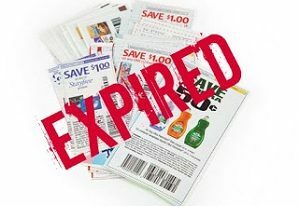 Make sure to take a few minutes each week to look over your coupons to see which ones are close to expiring (or have expired). Not Taking the Time to Learn the System – All too often we hear stories of people who quit couponing because they tried to do too much too soon. You need to give yourself time to develop a system that works for you and your family. Couponing is not a ‘one size fits all’ thing. What works for one family will not work for another. Just give yourself enough time to see what works best and then build on that. You will make mistakes along the way – we all do. That is now you grow and adapt to make the process work best for you. Believing in Extreme Couponing – If you are expecting to use coupons to get all your groceries for $10 then you will be sorely disappointed. Fact is that the concept of Extreme Couponing is a made for TV concept that is not practical for families in the real world. It is more realistic to set your savings goal to the 20-30% range when you first start out. 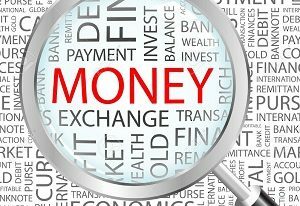 Not Realizing Small Savings Will Add Up to Big Savings Over Time – Savings of .50 here and .75 there do not sound like much but when repeated frequently these can really add up over time. In the beginning you may also find value in tracking your savings each week so you can ‘see’ your savings. This will help build positive momentum. 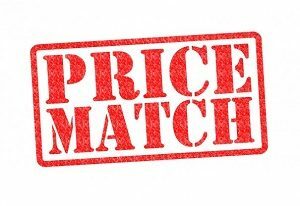 Price Matching – One of the best ways to save money especially around the holidays is to take advantage of the ‘price matching’ policy now in place with most major retailers (Click here for complete list of participating stores in your area). Retailers such as Wal-Mart and Target will now lower the price of any item if you show proof that it is being offered by a competitor for a lower price. This also includes prices on the major online retailers such as Amazon as well. We take advantage of this all the time and it saves our family hundreds each year. Coupon Doubling – There are many grocery stores that will double coupons with a value of .99 or less. This means, for example, that a .75 off coupon will automatically deduct $1.50 off your purchase price. If you happen to have one of these stores in your area then take advantage of the potential extra savings. Warning: we have found that many stores that double coupons generally have higher ‘regular’ prices when compared to other stores. Be aware of this as paying more for your other grocery needs will obviously balance out any extra savings you get from doubling coupons. 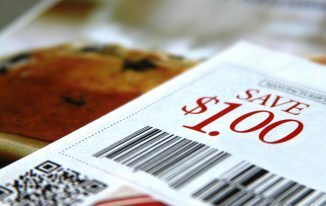 Coupon Stacking – One way to save extra is to look for opportunities to coupon ‘stack’. 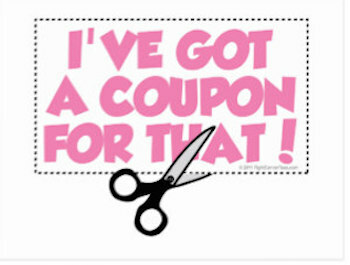 This is when you use a ‘store’ coupon and add it to a manufacturer’s coupon to get double savings. This concept also works very well with Target’s Cartwheel Program which gives savings that are considered ‘store’ coupons and you can stack other coupons to these offers and save even more. Fake Sales/Coupons – Be aware of the growing trend of fake Internet coupons. These are popping up on social media pretty regularly and become viral overnight. Most offer a very large discount (too good to be true) and often times request personal info (name, email, address, etc.) in order to access the coupon. Use caution when downloading any online coupon from an untrusted source such as Facebook. If it is for a very large discount or it requests personal info then chances are it is not a legitimate coupon and should be avoided. 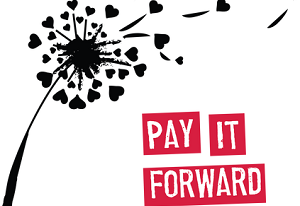 Paying-It-Forward with Coupons – If you find yourself with coupons that others could benefit from then consider paying-them-forward. We routinely leave coupons for baby products (diapers, wipes, formula) next to their corresponding product while we are shopping. This is commonly referred to as being a ‘coupon fairy’. The way we see it we no longer need these items (our kids are older now) but we remember just how expensive it was to be a new parent and we enjoy giving back to another shopper. Don’t Copy Coupons – coupons are issued with print limits set by the manufacturer. Copying or and reproduction of a coupon voids it completely. If manufacturers find that they are paying for more redeemed coupons then they authorized then they may choose to discontinue coupons altogether, thus hurting us all. Don’t Clear Shelves – We know the temptation a great sale/coupon combo can create and the urge to buy all you can to get it cheap BUT please be respective of others who also need/want the product. Nothing is more annoying than to get to a store and find the shelves completely bare. Then you hear that it was 1-2 people that did it. This behavior leads to complaints to store management and ultimately changes to a store’s coupon policy which may limit/restrict us all. Don’t Take More Than You Need – Similar to above please buy what you need and will use. Getting something for cheap (or even free) can lead to hoarder’s mentality which leads to waste and frustration from other customers who miss out. If you need it – buy it. If you don’t – leave it for someone who does. Don’t Argue with Staff – Don’t be ‘that person’ who yells at a seventeen-year-old checkout clerk because they say your coupon is expired or won’t scan. Give them a break – I’m sure they would be as equally happy if all your coupons scanned in without any issues. Show some patience and remember you will get more bees with honey than with vinegar. In closing just remember that learning to coupon takes time and some level of dedication. You will inevitably make a few mistakes along the way but just learn from them. The end goal is to become a more educated consumer with some extra money in your pocket each week.